A large multi-vehicle crash closed eastbound I-70 between Frisco and Silverthorne Saturday afternoon. 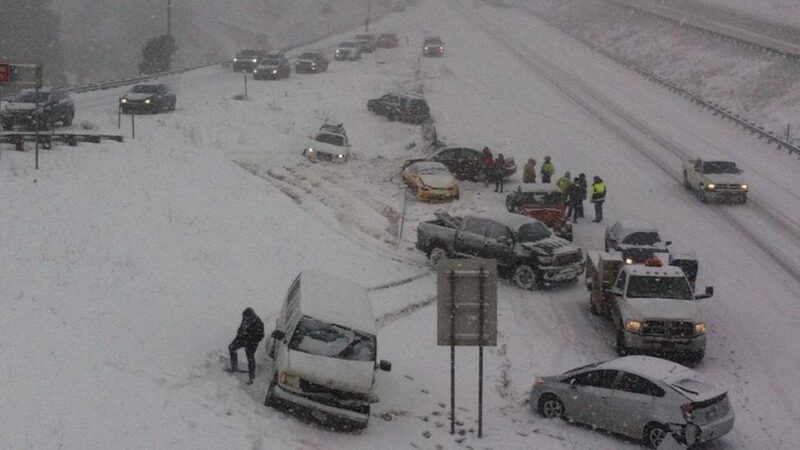 A heavy snowstorm created dangerous driving conditions in Colorado’s mountains. The Colorado State Patrol said a car with Florida plates was involved in that 20-vehicle crash and that car is possibly the one who caused the crash. The State Patrol said it was not aware of any injuries at the time of the crash. The wreckage from the crash was cleared and traffic started moving again at about 2:45 p.m.